Emily's teacher has said that the girl with the longest hair will be the princess in the school play. So when Emily blows out the candles on her sixth birthday cake and makes a wish, she wishes for the longest hair in the world. Day by day, Emily's hair grows. And grows. And grows. Of course she gets to play the princess, but that doesn't mean her hair stops growing. For the rest of the year, it takes up more and more of Emily's life. What will she wish for on her seventh birthday? 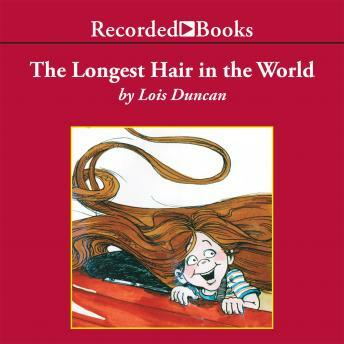 Award-winning author Lois Duncan, who has written over 40 books for children and young adults, has created a wonderful modern fairy tale. True to form, it mixes one of life's lessons into a story that sparkles with fantasy and imagination.